Stay up to date on everything mediation! In 1946, a group of WWII veterans with disabilities at the University of Illinois followed the lead of a man named Tim Nugent, adapting sports like basketball to be played from a wheelchair. The commonly held belief at the time was that individuals with disabilities simply couldn’t play sports. Fortunately, Mr. Nugent didn’t believe in the paternalistic mentality of “protecting” people with disabilities by limiting them. As a conflict resolution practitioner, one of my goals is to change the way people see conflict. Differences of opinion are the seeds that grow into conflict. Those differences of opinion often stem from rigid, binary notions of what is possible. Either you can, or you can’t. Yet life is rarely black and white, and this is where conflict can be redefined - as a good thing! By presenting itself as a problem that needs solving, conflict can be the leverage we need to find creative solutions. Strategy planning utilizes conflict resolution tools that enable us to adapt our thinking and uncover amazing solutions. Necessity is the mother of invention. A teen with Autism has challenges which impact his ability to drive a car. His parents choose not to let him get his driver’s license. Yet having transportation means independence and freedom, especially for a teenager! Is protecting this teen by limiting him the only option? How can this family adapt? Through strategy planning, the family set up the son with an Uber account and a monthly allowance to get around on his own. A mom has Alzheimer’s and often forgets to turn off the stove. Yet she finds joy in cooking for her family. It seems like a binary choice; either mom uses the stove or she doesn’t. But is it? How can we adapt to meet mom’s needs and still keep her safe? Through strategy planning, the family found a home health aide who not only loves to cook but knows how to help mom stay safe in the kitchen. They also found adaptive technologies to alert them when the stove is left on. Strategy planning isn’t simply about resolving issues; it is about leveraging those issues to adapt the way we think about problems. By doing that, we uncover solutions that push the boundaries of what it means to live with a disability. If you’re faced with a conflict, we welcome you to partner with us to create an adaptive solution for the path ahead. Amy Sereday is the Managing Member of Compass Mediation LLC. She holds a MS in Negotiation and Conflict Resolution from Columbia University, a BA in Communication from Western CT State University and a post-baccalaureate certificate in Paralegal Studies from University of Hartford. She is a Mediate.com certified mediator with advanced training in elder and adult family mediation. Amy completed her mediation apprenticeship through Columbia University in partnership with Westchester & Rockland Mediation Centers of CLUSTER, Inc., earning her certification from the NY State Unified Courts as a community mediator and as a custody visitation mediator. Amy has more than 15 years of paralegal experience in the practice areas of estate planning, elder law, probate, and real estate. She is a member of the Elder Decision-Making section of the Association for Conflict Resolution and the Paralegal Section of the Connecticut Bar Association. You Say You Want a Resolution? "Mediate.com has helped shape us as a profession. Thanks for the invaluable resources and support you continue to provide to the ever-evolving, ever-learning mediation community." 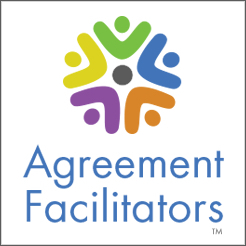 How Does The Mediation Process Work? What Does Good Mediation Look Like? Copyright 1996-2019 © Resourceful Internet Solutions, Inc. All rights reserved.